I know It’s been a while, but I’m back! Back when I first started this blog I wasn’t exactly sure what I wanted it to be about. I was taking a graduate certificate program in workplace wellness and health promotion and my passion was (and still is) helping people live a little healthier and teaching them that movement and proper nutrition really do have the power to make you feel GOOD and change your world. In the tune of transparency- I’m still not exactly sure what I want this blog to be about. Since the start of it all back in 2013, my life, and the vision I had for this has evolved quite a bit. 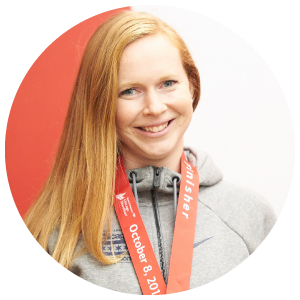 I graduated and starting working full-time in my field, I got married, I trained for and ran my first marathon, my health was tested in ways I never imagined, I became a personal trainer, I landed some paid(!) writing gigs, and I committed myself to eating a plant-based diet again. This latter half of my 20s has certainly been an interesting stage of my life. For so long I was in school, striving for “what’s next”. Now, in my 30th trip around the sun, I have a stable job, a great place to live, amazing friends and hobbies, and while I am content in my day-to-day I have been reflecting a lot on “what’s next, now?” I’ll be honest, I’m not entirely sure what’s next and this is partially why this blog has fallen to the way-side. I know that I want my writing here to be a larger part of whatever is next but I just haven’t been sure what exactly that looks like and have thus been hesitant to put anything out there in recent months. Not too long ago was taken out with a nasty flu and was forced to stay in bed for a few days and rest. Truth be told, I don’t handle being sick very well. I’m the first to admit that I am a big whiner, my mood plummets and I end up in very existential thought patterns when I’m not well. The bright side of all of this flu-induced pondering is that really did give me the time to realize I am ready for something more. One thought I kept coming back to is that I so desperately need to make room for creativity in my life again. Enter, this blog. As adults, it is so easy to push creative pursuits and outlets to the side in the name of corporate success and being “busy”, but I think it is so important to have those outlets and use your brain in different ways. I have also decided that I have wasted enough time worrying about what people think of me and am ready to put my writing out there to the world and share my stories. If you don’t like it, don’t read it. 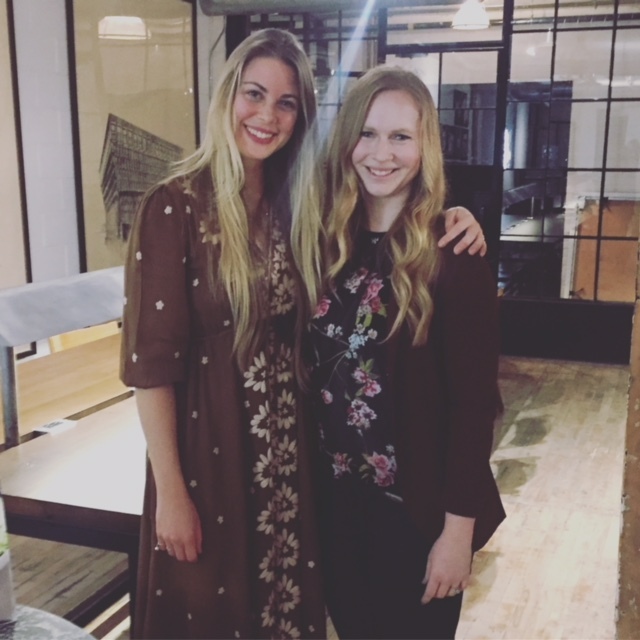 Just over a year ago I attended an event where Sarah Britton of My New Roots spoke about pursuing a career of creativity. I LOVED Sarah’s talk, her passion was palpable and her advice all very inspiring. She posed the question “what are you hungry for?” and as hard as I tried to come up with something, I couldn’t really answer her question. Her advice was to find that hunger, tap in to it and do anything we could to feed it. I knew then that I was hungry to write more, but I wasn’t sure what I was hungry to write about. I have struggled with this since because I just haven’t known what I want my “voice” or my “thing” to be. Another thing Sarah mentioned was the importance of trying to find something that you’re an expert at and stick with it. This advice really stuck with me because I find that the blogging world is so over-saturated with “wellness experts”, and also, who am I to call myself an expert? After the event I had a brief chance to talk with Sarah where I told her about my blog and what I did for a career. She suggested that maybe THAT was my thing, that I should write about helping office workers get healthier. 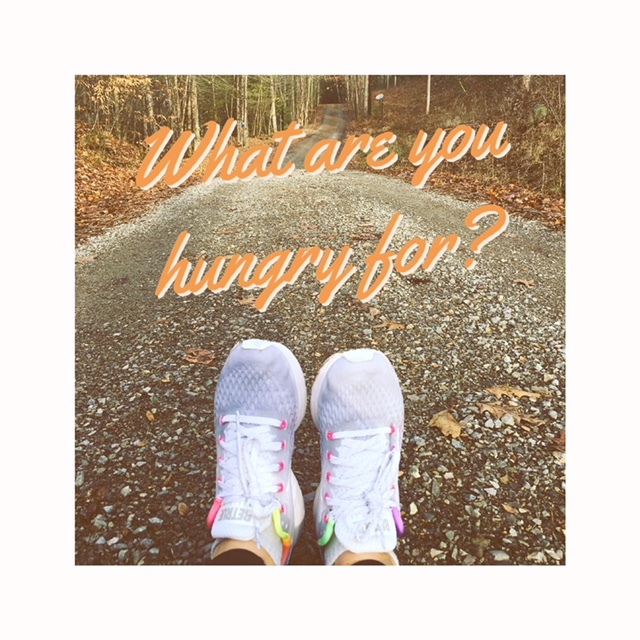 I thought about it for a while….but as much as I want to help office workers be healthier, I don’t find it exciting to write about, especially since this blog is more of a creative outlet for me. Don’t get me wrong, I love my job, but I’m not keen on coming home and writing about it every day. As a type A, I was kind of been obsessing about all of this to the point where it was holding me back. I haven’t been wanting to put much writing out there without some sort of “plan” or “voice” because I’m a perfectionist and I wanted it to really be something fail-proof. But, enough is enough and I decided that eventually I just had to go for it- so here I am. Maybe my “thing” right now is just writing. I really just enjoy writing. Currently, I enjoy writing about my own health journey. I don’t know if I have any other goals for this blog beyond having an outlet and a place to explore my learning, day to day musings and health adventures through words. So here I am, back basically where I started. Only, this time around I’ve decided that I am not trying to be one marketable THING, but just a writer who likes writing about health. You will also probably see some posts about travel, some writing on alternative preventative health practices, some talk on balancing hormones, some talk about living a life that is a little more intentional and connected to nature, meditation, positive psychology, how much I love my dog and cat etc, etc. Ya, I realize that’s a bit of a mixed bag of many things, but isn’t that what life really is- just one big mixed bag of surprises? So while this is a creative project that I am doing to help myself, I hope that if you are reading this, maybe it can help you too or at the very least inspire you to think about your own health journey. If this blog can help even one person move a little more or even just realize how good it actually feels to move their body, eat a few more plants and think about their health a little differently, well then that’s just a huge bonus. I got in to the work I do because I have always wanted to help people. I know I am good at connecting with others and motivating others to get up and out there, so that’s all I really want. Through all of this, I will strive to be honest and authentic. I am no expert, and I can’t tell any one person what is best for their health. I’m not an elite runner (in fact I’m a pretty terrible one), I’m not a nutritionist, I’m not a naturopath. I AM trained in health promotion and corporate wellness and I AM a personal trainer, but most of my knowledge is based on the information that I seek out, and my lifestyle, so it may not be for you, and that’s okay. So much of being in my late 20s has made me realize that I don’t have to do things for other people, nor do I have to do things because other people are doing them or told me to do so. Please remember that when you read this. I’m just a human doing the best I can in my life, under my circumstances and that’s all I want for you as well. So, all that being said, welcome back. That is if anyone is even there anymore (mum?). I’m going to try and make this more of a regular thing going forward and I look forward to taking you along for the ride.